The non-aggression principle has been under attack by many libertarians as of late. Mr. Libertarian, Walter Block, argues the non-aggression principle is libertarianism itself –that the philosophy of libertarianism is about when it is appropriate to initiate the use of force. Nothing more, nothing less. Join Walter as he defends the NAP July 12th at 4pm EDT! Tune in for the premier of a brand new LIVE show! Join Chris Calton and friends for We the Individuals. This week, they’ll try to decide which is better – anarchism or minarchism. See you there! Join anarchist activist Kal Molinet for another show all about how we can escape the clutches of the state. We might be in the matrix, but we can resist! This is another exciting episode in Jeffrey Tucker's Liberty Classics series! This time around, he'll be speaking about Gary Chartier's Conscience of an Anarchist. It is a beautiful book that takes on every important theoretical point — economics, foreign policy, criminal justice, civil liberties, courts, personal life — but also deals with the practical question of how to get from here to there. This book may well be destined to become a classic. Anarchist activist Kal Molinet will be joined by Tyler Lloyd for another exciting, state-busting show. The topic will be critiquing minarchism. How do we deal with people who think a little bit of aggression is acceptable? While you're here, check out Liberty.me's guide, How to Be an Individualist Anarchist! Join anarchist activist Kal Molinet as he talks with Marc Stevens about activism, the No State Project, and the perils of the legal system. Find more from Marc Stevens at MarcStevens.net Find more from Kal Molinet at LiberateRVA.com. And find more freedom with Liberty.me! Fight the Matrix! is a show about freeing others from the matrix of the state. But how do you convince others that nonaggression is viable? How could a society without a state work? What do you need to know when talking to the uninitiated? Come hear Kal Molinet’s take on Wednesday, February 25th at 9pm EST. Don't forget to bring your questions! This week, Kal will start off by talking about the "10 planks" of the Communist Manifesto. How many of them have been fulfilled in America already? This event is open to the public! This is a supremely radical and challenging work, one that essentially turns the world upside down. Nearly every expert on the topic of the history of civilization will tell you that the regime is what makes the difference between whether a nation rises or falls. Rose Wilder Lane takes another view entirely. She says it is not the regime but the absence of the regime that sets the human spirit in flight and permits it to create and make beautiful things out of the uncivilized world of the state of nature. She pictures the whole history of humanity as a struggle to be free of authority — not just this or that authority but all authority. For more on the beautiful books of liberty, read Jeffrey Tucker's 25 Life-Changing Classics. How should libertarians approach punishment? If one day our dreams of a free society are realized, what happens to the Fed Chairman, the former presidents, or common soldiers? Walter Block, the tireless defender of the undefendable, has an opinion on the matter. 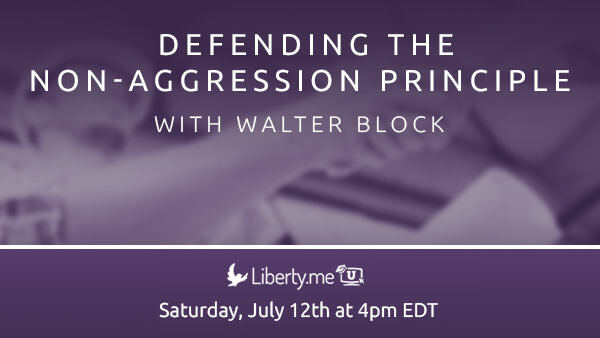 Come ask your questions and hear Walter's libertarian theory of punishment! Not a member? No problem. Click here to watch! Kal Molinet fights the matrix and takes you along for the ride. Come find out how you can spread the ideas you care about and how you can change hearts and minds. The evening promises to surprise. Fighting the matrix of the state is hard work. How do you convince others that nonaggression is viable? How could a society without a state work? What do you need to know when talking to the uninitiated? Come hear Kal Molinet’s take Wednesday, November 19th at 9pm EDT, and bring your questions! Fighting the matrix of the state is hard work. How do you convince others that nonaggression is viable? How could a society without a state work? What do you need to know when talking to the uninitiated? Come hear Kal Molinet’s take Wednesday, October 15th at 9pm EDT, and bring your questions! Should lovers of liberty vote? For some, this is a silly question; how else might one effect change? Others see the political system as nearly useless or worse, but even among those there are different views. Is a vote an act of violence to force your will on others, or is it self-defense? Walter Block will speak on libertarian views of voting and take questions on all things Austro-libertarian Wednesday, October 1st at 7pm ET! Fighting the matrix of the state is hard work. How do you convince others that nonaggression is viable? How could a society without a state work? Come hear Kal Molinet's take Wednesday, September 17th at 9pm EDT, and bring your questions! Abortion is one of the only topics on which even libertarians can find no consensus. Some stress the sovereignty of a mother over her body, while others believe that proportionality does not extend this to killing a fetus. How can the two views be reconciled? Walter Block proposes a compromise: Evictionism. Join Walter Sunday, September 7th, at 5pm EDT for a frank and likely irreverent discussion. What does it mean to raise a child like a libertarian? 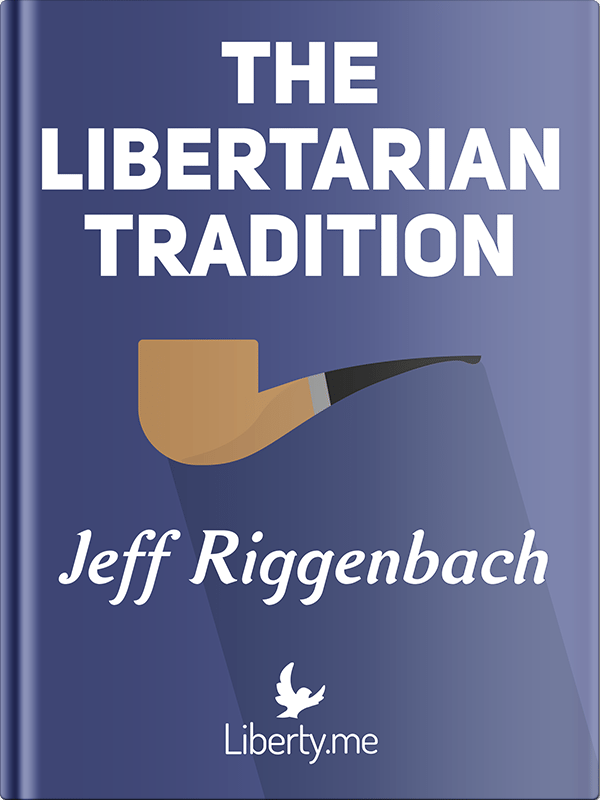 Libertarianism goes far beyond just political theory. It can inform parenting styles and decisions. So how can you incorporate libertarian ideas and principles into raising and educating your children? Ana Martin, also known as The Libertarian Homeschooler, offers solutions that go beyond the norm. Join Ana for a frank discussion of children, our fears in parenting and homeschooling, and libertarian ideals Monday, July 28th at 8pm EDT! And if your child is on the verge of adulthood, make sure you also check out our Liberty.me guide, Rethinking Higher Education! The common conception of anarchism is chaos and lawlessness, where might means right. Many people think of the Old American West. But is this correct? Kal Molinet says no. He argues anarchy simply means "without rulers," and that anarchism is actually the most moral and efficient system for societal organization. Join Kal on Liberty.me U July 10th at 9pm EDT! While you're here, check out Liberty.me's guide, How to Be an Individualist Anarchist! Liberty-lovers are often told by their detractors that the market cannot handle the externalities of pollution without governmental "assistance." Are these assertions correct? Even if one accepts that the market can handle air pollution, what about smell pollution? Noise pollution? What if Mr. Burns builds a giant umbrella that blocks out the sun? Join Walter Block June 21st at 4pm EDT to find out the answers to these questions, as well as your own!